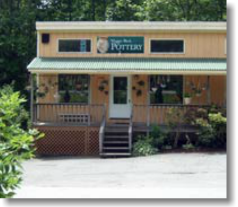 Recently, Maggie moved her home studio to her brand-new gallery, Maggie Black Pottery, at Shops at Mill Ridge on Highway 105 in Banner Elk, NC. 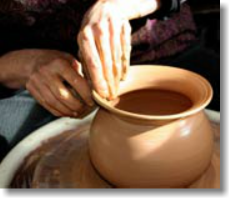 Here she may be found throwing pots on her wheel in the back of the upstairs gallery, or downstairs, glazing and firing. "Watching the work actually being made", said one enthusiastic collector recently, "is just such a pleasure. It's a real bonus when I visit the gallery".